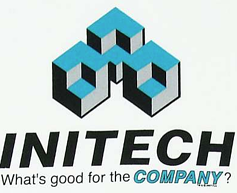 If you ever watched the movie “Office Space” then you will remember the internal marketing campaign Initech came up with to “motivate” their employees and camouflage a downsizing. It’s an all too real (and incredibly funny) example of ways in which upper management can blow the opportunity to create an effective culture by leveraging their own brand. In the real world (and at the complete opposite end of the spectrum) there is Nike. Research shows that Nike’s brand resonates so strongly with its employees that the corporate mission to win through hard work and teamwork is something you simply must bring with you if you want to work there. The entire culture pulsates with the hallmark aspects of sports and competition. This includes language, with terms like “season” and “game clock” being part of the nomenclature. The mistake that companies make when they set out to build a brand is to forget the internal aspects that can positively affect company culture, particularly revenue-driving areas like sales and marketing. Companies that hire branding agencies, for example, usually give much more thought to how their brand will impact employees. By creating effective brand signals, through the use of design for example, a culture that is aspirational can be established. A design studio for example, might communicate their brand values by creating a workspace that is unique and handsomely styled. >>Download your FREE Rebranding Checklist Today! The fact is that everything you DO is branding. Branding is not simply creating a logo. Branding is based on values and the actions you take that express those values. Poorly performing companies create those values unconsciously by engaging in office politics and emotional abuse from leadership. Often you will find that simply walking the hallways of a company will tell you more about a company than anything you read or see about it. You can FEEL a company’s culture. And that culture starts with the brand. A good freelancer can come up with your logo but it’s going to take a trusted design studio to help you create a vision that can sustain your company culture and grow for the future. Don’t underestimate the power of your brand to impact internal performance. Take advantage of the message you can send to your team. It will pay off in the end.